Enjoy Sweet Las Vegas Savings with FREE Parking Always! SLS’ game-changing resort and casino is on the site of the legendary Sahara Hotel. 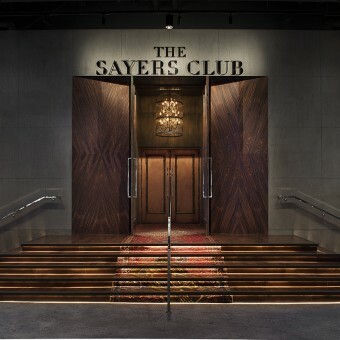 Our Las Vegas hotel will offer more than 1,300 guest rooms and suites designed by Philippe Starck, 80,000 feet of special event space, 30,000 feet of meeting space and acclaimed sbe dining and nightlife brands like The Bazaar by José Andrés, Katsuya, The Sayers Club and Umami Burger to name just a few – all within walking distance of the Convention Center which is also just two stops away via monorail from the SLS. A groundbreaking culinary experience featuring the innovative artistry of James Beard Award-winning Chef José Andrés. Savor innovative Japanese cuisine with an American twist created by Master Sushi Chef Katsuya Uechi. 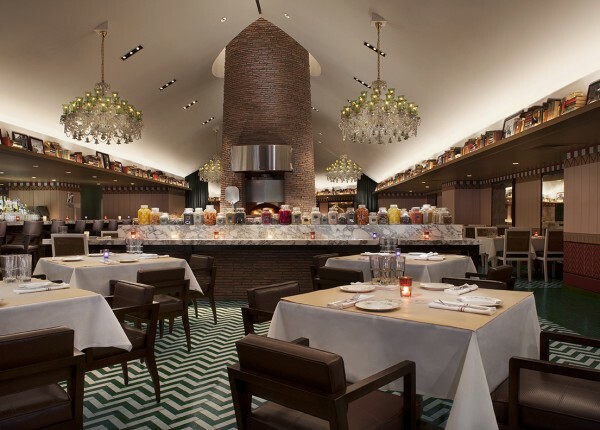 A stylish, contemporary restaurant where New Mediterranean flavors are enhanced by Old Hollywood charm. 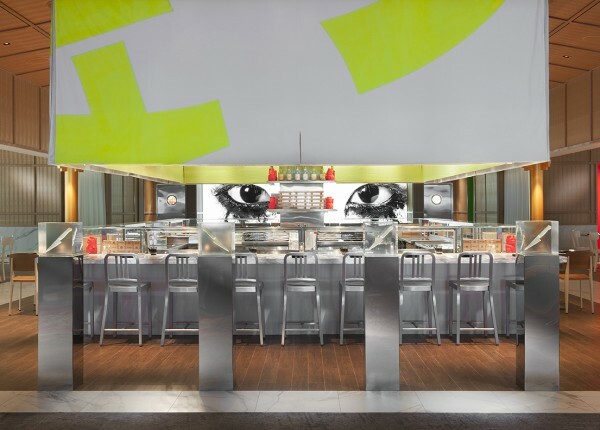 Featuring the dynamic pairing of master sushi Chef Katsuya Uechi and design impresario Philippe Starck, Katsuya by Starck in Las Vegas is truly a feast for the senses. 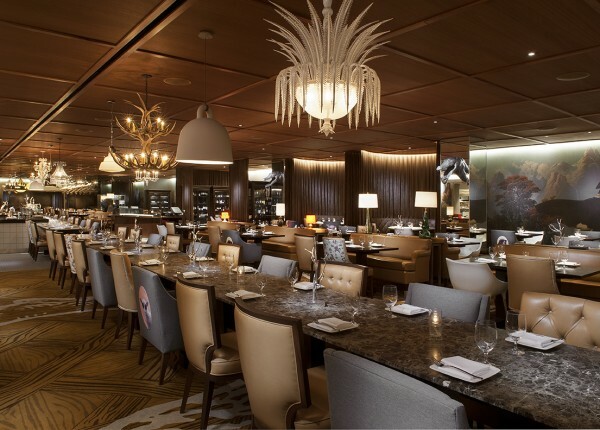 With specialty cocktails, unique rolls, and spectacular sushi and sashimi platters, Chef Uechi skillfully translates Japanese flavors for the American palate. The superb talent and exacting precision of Katsuya by Starck is changing the face of Japanese cuisine. The Japanese kanji symbol “Katsu” means “victory,” and it is fitting considering the loyal following of Hollywood A-listers and critics the restaurant has won over. Cleopatra is legendary. Cleo is unforgettable. Welcome to a Mediterranean-inspired reinvention of Tinseltown glamour, where new yet familiar flavors are enhanced by Old Hollywood charm, and every visit to this Las Vegas restaurant offers a menu of ever more delicious reasons to return. At Cleo, moving forward isn’t about revisiting the past – it’s about creating culinary classics with a modern twist. Experience unparalleled quality at Umami Burger; then get lucky at our Sports Book or outdoor Beer Garden. Enjoy customized Neapolitan pizzas with fresh ingredients ready from our wood-burning oven before you leave the counter. Inspired by the classic Las Vegas coffee shop, Northside Café offers generous portions of delicious comfort food made to order. A collaboration with LAMILL Coffee, The Perq brings the acclaimed LA-based specialty roaster’s gourmet coffee and tea to SLS Las Vegas. 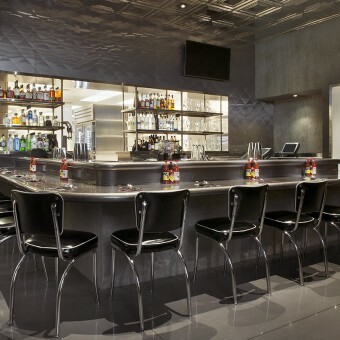 Named “Burger of the Year” by GQ Magazine, Umami Burger combines unmatched flavor with exceptional hospitality. All of our beef burgers are made using house-ground premium steak and gently hand-formed patties perfectly infused with Umami’s unique blend of enhancing sauces and seasonings. The result is a sophisticated, highly curated and unparalleled experience. After one bite, you’ll understand why there are no substitutions. 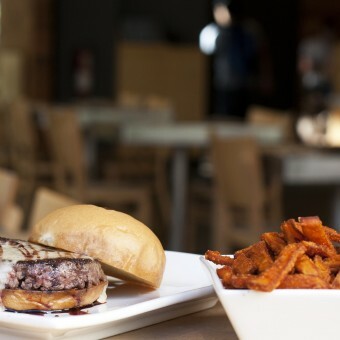 A true phenomenon, Umami Burger has a devoted cult following among food lovers and burger devotees around the world. And now, the best burger experience in Las Vegas just got better: paired with craft beer on our outdoor Beer Garden overlooking The Strip and betting in our William Hill Sports Book. Honoring the heritage of Old World Italian tradition, where the integrity of ingredients is paramount, 800 Degrees uses California-grown tomatoes, fresh mozzarella, and handcrafted crust made with flour from the ancient Molino San Felice in Naples, Italy, complemented by only the best charcuterie and local vegetables. While the menu offers a few favorite combinations, guests can personalize pizzas with a choice of ingredients. Baked for just 60 seconds in an 800-degree oven, your pizza will be ready before you even leave the counter! 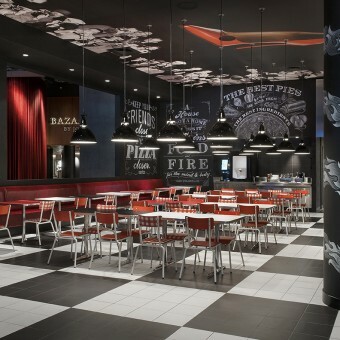 Come in and create your masterpiece at the hottest pizza restaurant in Las Vegas. Welcome to Northside Café, where home-style cooking and hospitality are served up 24/7 in a casual, vibrant setting. Inspired by the classic Las Vegas coffee shop, Northside Café offers generous portions of delicious comfort food made to order. With breakfast favorites available around the clock, salads, burgers, sandwiches, authentic street tacos, pastas, steak, and seafood—along with French-press coffee, fresh juices, and quality cocktails—there’s something for everyone. Centrally located between the hotel reception and casino floor, Northside Café is a gathering place for SLS guests, players, and locals alike. Come on in and see why there’s no better all-hours eatery on the North Strip. 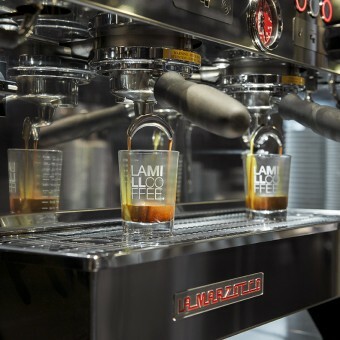 A collaboration with LAMILL Coffee, The Perq brings the acclaimed LA-based specialty roaster’s gourmet coffee and tea to SLS Las Vegas. 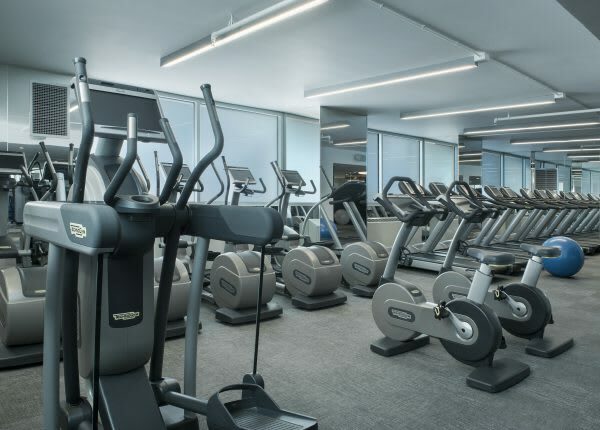 Located between the lobby and casino, The Perq also offers a selection of fresh salads, panini, sweet and savory Danishes, and other house-made pastries, plus freshly-made gelato and ice cream sandwiches. Complete with poolside table games, a dance floor, bottle service, VIP areas, easy casino access and live sets by Las Vegas’ best DJs, our elegant poolside lounge and nightclub is the perfect place for a night out or an amazing private event. 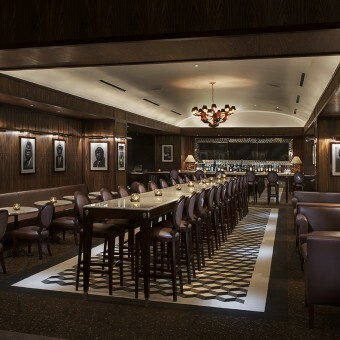 Enjoy original cocktails and performances by emerging and established musicians in a warm, intimate setting. Start your night in Vegas off right with games and drinks at SHOT bar. Enjoy your pick of our 18 original libations seated at the bar or as you explore the casino. Switch from on-the-go to in-the-glow with a cocktail, beer or glass of wine in the living room, at the bar or on the patio of this intimate and inviting space. The Hollywood location has played host to Prince, The Black Keys, Stevie Wonder, Gotye, Jamie Foxx and many more. 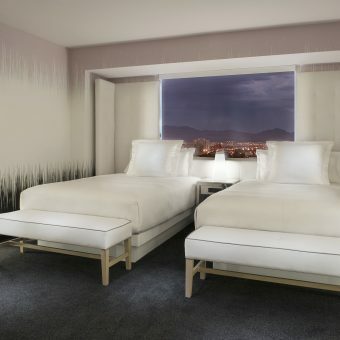 Envisioned by Creative Director Philippe Starck in collaboration with Gensler and SLS Hotels, SLS Las Vegas features over 1,300 guest rooms in two distinct hotel towers—each with a unique personality, designed to offer contemporary and stylish settings for an amazing Vegas getaway! 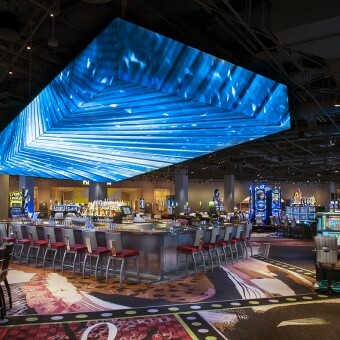 Step up to the table or sit down at the slots to play your favorite games in our sweeping 60,000 square-foot casino, featuring Philippe Starck’s dramatic design. Offering 900 slot machines and 100 table games, there is always an opportunity to place a bet at SLS Hotel & Casino Las Vegas – some games will even be available poolside! Experience 80,000-square-feet of flexible event sites, including 30,000-square-feet of dedicated meeting space, at SLS Las Vegas. Discover a variety of stylish indoor and outdoor venues, creative catering and state-of-the-art audio/visual capabilities. 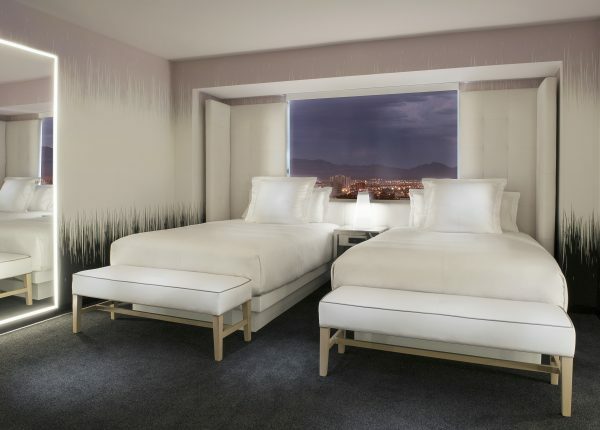 You must be at least 21 years old to consume alcoholic beverages, gamble, or book a hotel room at SLS Las Vegas. 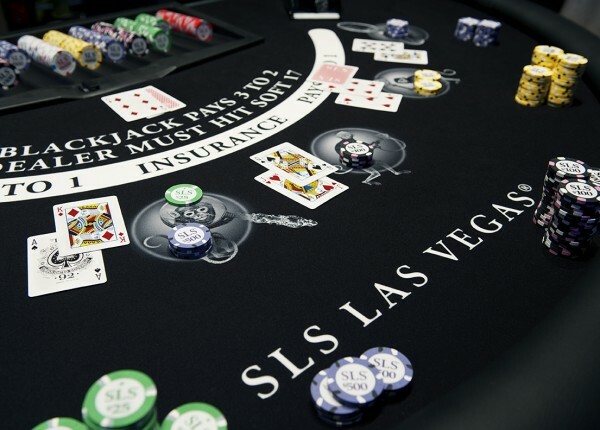 SLS Las Vegas supports responsible gambling. Have a gambling problem? Please call 1-800-522-4700.